What's more, it's difficult to tell the difference between legitimate and harmful biological research. Advances in the life sciences hold extraordinary promise for new treatments and cures for disease, but the same knowledge—and equipment—can be used to engineer deadly pathogens. Rapid advances in biotechnology mean that most countries with pharmaceutical and medical industries possess the knowledge and tools to develop biological weapons. And as technology and know-how spread, the risk of improper lab safety increases, with consequences ranging from hazardous lab accidents to the unwitting development of “superbugs” that are beyond the control of public health systems. Only 16 countries plus Taiwan have had or are currently suspected of having biological weapons programs: Canada, China, Cuba, France, Germany, Iran, Iraq, Israel, Japan, Libya, North Korea, Russia, South Africa, Syria, the United Kingdom and the United States. 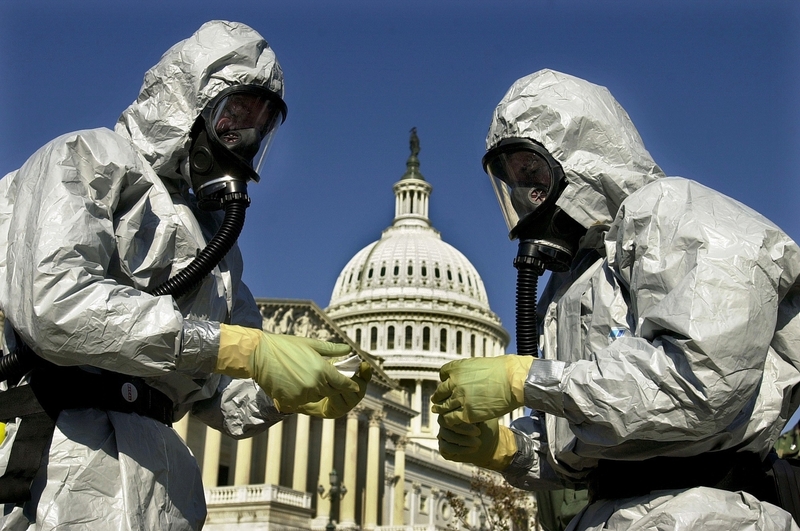 There is widespread consensus against the possession and use of biological weapons. Most countries are party to the Biological and Toxin Weapon Convention, but there is no way to know whether countries are complying with their commitments. Terrorist groups have already tried to use biological weapons. The Japanese cult Aum Shinrikyo unsuccessfully tried to weaponize botulinum toxin and anthrax in the mid-1990s. In the days after the September 11 attacks in the United States, a series of anthrax-laced letters sent to several news agencies and two U.S. Senators killed five and sickened 17 others. Terrorists are drawn to biological weapons for their relative low cost, simple delivery and psychological impact. The 2014 Ebola outbreak in West Africa showed how vulnerable we are to infectious disease, how quickly it spreads, and how weak public health systems are in some of the poorest countries in the world. The world saw firsthand how access to trained medical professionals, sterile equipment and basic medical facilities are a rare commodity in the developing world, enabling diseases to expand beyond what modern medical advances might suggest. Global travel makes the biological threat even more serious and highlights the need for a global approach to improve public health. Spurred by the Ebola crisis, many countries took steps to improve global health security in order to monitor and respond to disease threats, but there is much more work to do. Gram-for-gram, biological weapons are the deadliest weapons ever produced. Why these banned weapons just won't go away.